Sometimes pest problems occur and they require a professional pest control helper. It’s important not to rush into a decision about which company is the right one for you before talking to several companies for one. The pest problem might be urgent, but a reputable and knowledgeable company meeting your standards is advisable. Are the technicians having current licenses and is the license correctly classified according to the job? Verification of licensing can be done by calling state pesticide regulatory office. In which way does the company update the staff on regulation changes, techniques, products and safety? Are the techniques used integrated pest management ones? Is there any of their staff who is a certified entomologist? 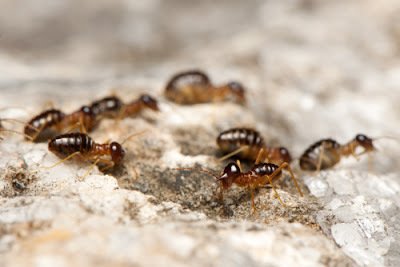 Do they have experience in treating pest problems like yours? Are their newly applicants trained with more experienced employees? Is it good to ask friends, family, co-workers or neighbors for recommendation? Do not rely on adverts for information on the company’s reputation. Contact the State Pesticide Regulatory Office or Better Business Bureau for information on recent complaints, violations or unresolved issues. Is company a member of recognized state, national or local pest association? Periodic evaluation of pest management protocol is required by such memberships and ethical business practices. An estimate for services in writing from the company is good. Free estimates mostly. Compare services and rates estimates from more than one company. If the company required you to sign up a long – term contract what are the costs in the long – term? Is company able to a work guarantee and at what terms? Are the employees listening to your concerns and addressing them with respect and care? Can the pest be identified by the employees, extension of infestation explained and details about pest and its behavior provided? Is there willingness to discuss selection of product and other details of the treatment? Are they eager to discuss environmental risks, reductions and low-toxicity options? Is there insurance to cover property, you can their employees? When necessary are they responsible for wearing protective equipment? Which measures will be taken to prevent unnecessary accidents and exposures? Multidisciplinary approach like cleaning, vacuuming, steaming using mattress encasements and not treating beds with fumigation or pesticides. Inspect before quoting on a final price. Price jobs based on findings not a flat rate. Give information on bed bugs, what they found as a company and measure to take and prevent them. Provide a strategy for rendered service and written inspection report. Thorough following program based on current status of activities by the bugs and not based upon number of visits. Adjust their protocol on treatment and pesticide use according after inquiring on presence of children or pets. Having a well-defined way of determining an eliminated infestation. Notify adjacent houses about the problem and recommending inclusion of surrounding unfits for treatments and inspection with property managers. Employee names performing the work. Date and time of treatments or inspections. The product formulation e.g. gel, spray or dust and where that product will be used. Will any preparation be needed before treatment like putting clutter away, item removal from kitchen cabinets or keeping children and pets away from the area? Potential health effects or precautionary information in case of pesticide products exposure. Communication and cooperation between the company and yourself is required in order for you to have a successful pest control experience.